The highly anticipated “Alicization” story arc of Reki Kawahara’s world famous Sword Art Online anime is set to kick off with the anime’s third season in Japan this October, but attendees at this month’s MCM Scotland Comic Con in Glasgow are in for a special treat, courtesy of Aniplex – the UK premiere of Sword Art Online -Alicization-! Sword Art Online -Alicization- will be simulcast on Crunchyroll following its Japanese airing on 6th October 2018 and according to Anime News Network, will be the longest season to date. Sword Art Online: Alicization will reportedly adapt the entire story arc over four planned “cours” (quarters of the year), which will likely make it equal to the length of both Sword Art Online and Sword Art Online II! 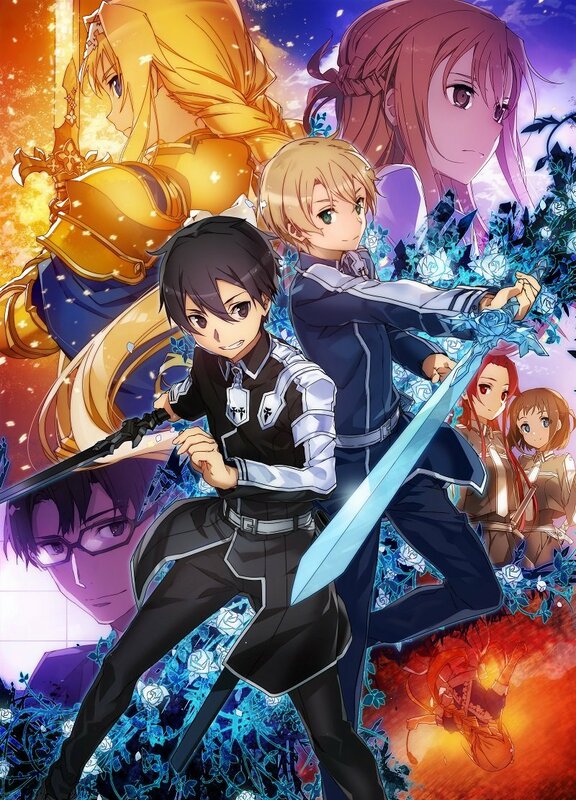 Anime Limited announces plans to release Sword Art Online: Alicization on home video in the UK and Ireland! Kyoto Animation’s beautiful and breathtaking anime feature film “A Silent Voice” heads to Netflix in March, according to Mirror.